Offering great protection from the sun and rain is the pavilion’s claim to fame. A pavilion can serve to bring all the elements of your backyard design together and create ample shaded space for summer barbeques, entertaining or relaxing. Available in a variety of size options for backyards large and small, pavilions are offered in wood or vinyl styles to match your tastes and blend with your outdoor decor. 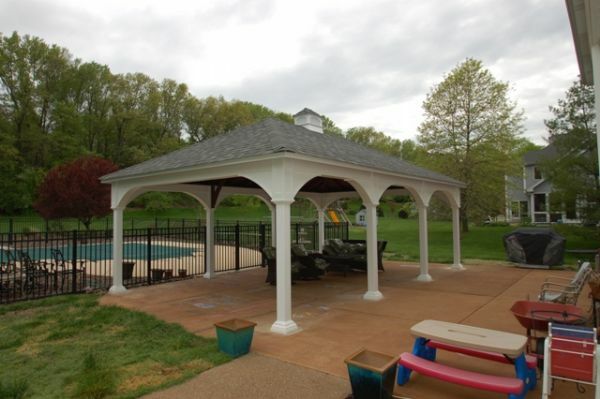 Pavilions also make excellent additions to your pool area, providing welcome shade or a quiet place to relax while the children splash the day away.